A variety of delicious seafoods. This ready-made mix provides the basis for a wonderful salad and is perfect for rice dishes such as paella. 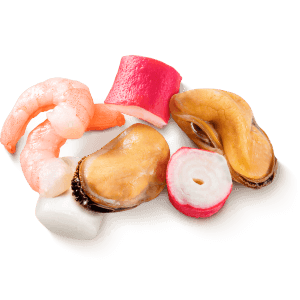 Clients can order a customised seafood selection along as quantities are sufficient.